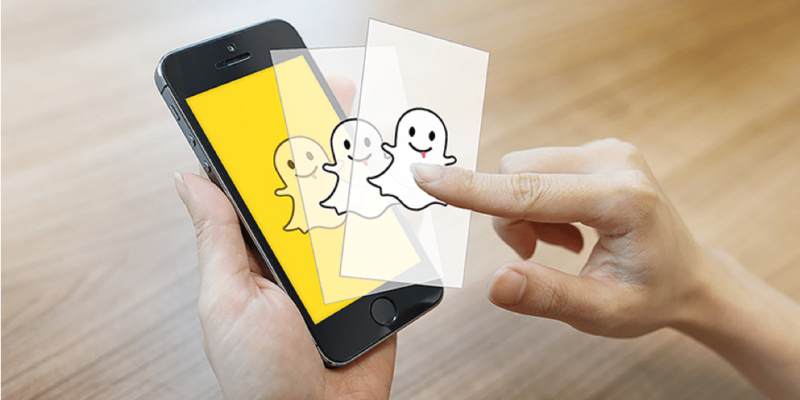 Snapchat has a few defining features that have helped to make it one of the top social media networks in 2016, most achieved with filter on Snapchat. Self-destructing images created with filter on Snapchat take away inhibitions and allow users to experiment with the content that they unleash onto their followers. Lenses provide endless entertainment for the generation that put the word ‘selfie’ in the dictionary. Having the tools to create original content, rather than simply absorb it is a huge selling point that differentiates it from other social media channels. Finally, the authenticity it provides is one of the main reasons why it has become such a staple in celebrity culture – the voyeuristic pleasure of seeing your idol on a casual Sunday morning is unparalleled. We have been told time and again that we are part of a consumer culture. We have become used to the idea of passivity, so when something comes along and shakes that up it definitely grabs our attention. Until now Facebook, Twitter and Instagram have all placed emphasis on the ‘feed’. Facebook wants you to entertain nostalgia by reminding you of your actions back in 2010, while Twitter’s main body is a running conversation that never ends. Although seemingly another platform focussed on content creation, Instagram still traps its users into a consumerist attitude of endless scrolling through others content. The Snapchat app opens with a camera, rather than a newsfeed, in order to encourage immediate snapping, before seeking other’s. These messages are also inherently private and disappear on cue – perfect for millennials that have no wish to hold on to fond memories of classless drunk nights out. The autonomous creation aspect of Snapchat is certainly a USP, and with the introduction of new lenses and filters on Snapchat every day the bar is only rising higher. One way that this is gaining traction is through the newest release of personal custom filters. Imagine it – your birthday rolls around and you want to add an extra edge to the party that pushes it up one step higher and gets that all important feeling of FOMO circling to those that spurned the invitation. How to go about it? Well, Snapchat has made it easy by giving the public the opportunity to design their own custom filters on Snapchat for an event of their choice. While this has been commonplace in the business world for some time, it is new to the rest of us. If designing your own Geofilters sounds like it might be up your street, then you just need to put it together. The first things to consider are Snapchat’s fairly convoluted guidelines – no trademarks, no branding, business marks, business names, business logos and no other promotions. Basically, be careful about what you are putting on there. Snapchat wants personal filters to be used for purely private celebratory purposes, not to advertise your business. While on this point you will also need to have a read of Snapchat’s privacy policies and terms of services to ensure your content aligns with their guides. Once those sticky steps are done with you simply need to head over to the custom filters page and click ‘Create Now’. You will be given the option of downloading a template and reading their guidelines. At this point you will need a design itself and if you are a dab hand at Adobe Illustrator or Photoshop then this part will come naturally to you. The specifications are only that it must be a PNG file that is 1,080px wide by 1,920px tall with a transparent background, with a maximum file size of 300KB. Snapchat has some templates available to start you off with in PSD and AI format, so if you have the full Adobe suite then you can experiment to your heart’s content. The only problem that might arise at this point is that some of us are not the graphic design hotshots we profess to be. An understanding of Photoshop and Illustrator is something that even design students struggle with, let alone being fairly expensive programs to even own. On top of this I’m guessing you want a filter on Snapchat that looks pretty professional and innovative, not like the scribbles you do in a school notebook. There is an alternative to struggling along with graphic design software – hiring a professional to do it for you. If this event is a special as you want it to be, then why not invest in a company like CustomFilterz to view your brief and come up with ideas for you? This is an affordable way to cut corners, as they don’t only do the designing – they also ensure it aligns with filter on Snapchat’s strict guidelines. Nobody needs extra stress during event planning, so using an external company is a great way to lift off some of the burden, particularly when you don’t want to compromise on quality. Don’t forget that attempting to do something as complicated as designing a Geofilter takes time away from planning your perfect outfit – while a professional has done it thousands of times and knows exactly what works and what doesn’t. Getting the attention of those at your event is easy with a custom made Geofilter. It doesn’t take long for everyone to want to Snap pictures of the fun they are having, causing infectious smiles to travel round. Making them feel as though they have that autonomous control over content creation at an event is a fool proof way of engaging guests without feeling forced, and it’s about to be the next big thing.